The Screaming Pope: Is Altruism Good? Is altruism naturally selective? 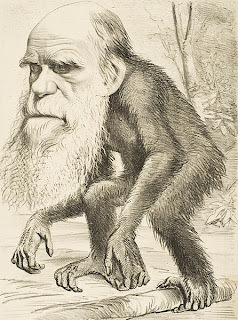 Darwin’s theory of evolution is based on survival of the fittest? But does it pay to care about others? In contradiction to Darwin, do caring, benevolence and even self-sacrifice comprise an important part of the survival mechanism? This is the question Jonah Lehrer (Proust Was a Neuroscientist) asks in his recent New Yorker piece (“Kin and Kind,” 3/5/12). Lehrer quotes Darwin who commented in The Descent of Man that “He who was ready to sacrifice his life, as many a savage has been, rather than betray his comrades, would often leave no offspring to inherit his noble nature.” But he then brings up a researcher by the name of William Hamilton whose equation published in the Journal of Theoretical Biology back in l964, rB>C, and a theory called “inclusive fitness” inspired major figures like the famed Harvard entomologist E.O. Wilson. The crux of the idea was a scientific explanation of what had previously been considered a moral trait similar to conscience. Altruistic behavior in animals was not due to the appearance of precocious human traits anymore than it was an expression of a higher brain activity in man (i.e., something which differentiated man from lower forms on the evolutionary scale). Altruism or self-sacrifice were just ways of passing genes on. Hamilton’s equation was predicated on the fact that the benefits of the action (B) exceeding the cost (C). Wilson according to Lehrer would eventually turn against his own embrace of Hamilton’s theory which embodied another concept “an extreme form of altruism known as eusociality, in which individuals live together in vast, cooperative societies.” Like the theory of evolution which has gone through its own evolution due to the work of evolutionary biologists like the late Stephen Jay Gould (who proposed the theory of punctuated equilibrium to explain incongruities in the fossil record), Lehrer’s piece demonstrates how, a tidy idea like inclusive fitness, which seems to so brilliantly accommodate biology, mathematics and a kind of anodyne to Spencer’s Social Darwinism (by postulating a scientific explanation for goodness), is wrong. More will be revealed as the saying goes, and since fools rush in where angels fear to tread, the sensible and altruistic thing to do would seem to be to refrain from the perpetuation of more jargon while the jury is still out on this one.